The London Borough of Brent is found in North West London, and forms a part of London’s Outer regions. Its major districts include Kilburn, Wembley and Willesden. Harrow, Barnet, Camden and Hammersmith and Fulham are Brent’s closest neighbouring boroughs. Brent is home to some of London’s most famous landmarks, including the iconic Wembley Stadium and Wembley Arena, both of which are world-famous for football and concerts, respectively. Neasden Temple, described as “Britain’s first authentic Hindu temple” can also be seen in Brent. The area has excellent transport links no matter where you’re looking to travel to. Its many Underground Tube stations include Alperton, Dollis Hill, Preston Road and Wembley Park. Hire Our Company For The Best Handyman Services in Brent! Is your home in need of a paint job? Does your office needs emergency repairs? Are you struggling to find an experienced and reliable property refurbishment team in the NW1 area? Handyman Handy has everything that you need and more if you want to get the property of your dreams, and with the help of our experienced and friendly handymen you won’t need to worry about your home or office again! Our specialist services include electrical services, home renovations, office maintenance and more, and no matter what you’re looking for from your handyman services provider, we’re sure to be able to deliver! We have the top-quality and award winning services that you can rely on. With unobtrusive and speedy services, and with no questions asked, hiring us is a decision that you won’t regret! Lots of people living Brent, NW8 have already turned to our company for dependable services and exceptional quality, so if you live nearby then why not let us help you? We serve all properties within the NW3 postcode district, and we’re just waiting to help you. Find out more information by calling us today on 020 8434 7477! Book today and hire the best handymen in the area! Call Now and Book One of Our Affordable Services! If you want the most reliable, professional and affordable handyman services in Brent then you don’t need to look any further. Handyman Handy has the experts that you need for painting and decorating, unblocking services, plumbing installations and much, much more. From home improvement to plumbing jobs, there’s nothing that our teams won’t be able to help you with, and we’re confident that you won’t find a better handyman team anywhere else in NW3! Not only will we deliver on quality, but we’ll also give you excellent and purse-friendly prices too! 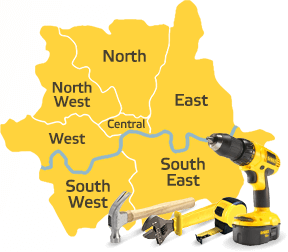 We have some of the most competitive rates in the whole of the NW1 area, making us a great choice for you if you’re on a budget or looking to save on the cost of your repairs or renovations. We can deal will all handyman jobs at affordable cost. Contact our teams today and we’ll even be able to give you a free quote, so that you can be sure you’re getting the best value for money possible. If you’re looking to refresh your home or office in the NW8 area then we’re the only company that you need to call. Pick up the phone today and call 020 8434 7477 now to find out more! Treat yourself and book today! The emergency handyman service from this firm was so good that I would use again. The cheapest yet best handyman firm in Brent. I had a ton of home improvement jobs that needed to be done in Brent. One call to Handyman handy and they were done within days. There is no way I could have ever gotten them all done that quick! The local handyman services really helped me out of a tight spot. They arrived in Brent NW1 very quickly and solved my problem in a very efficient manner. Your carpentry services here in NW1 should be marketed to the entire world. I could not believe my eyes when you were done. It was impressive. I've always gotten top-notch quality care from their handymen in NW1. I highly recommend Handyman Handy. If you need help with kitchen refurbishment in Brent this is the company for you. Handyman Handy is very professional and they know what they're doing. I was pleasantly surprised at how well the results were and how knowledgeable they were. They are also very polite and affordable as well. Very good company I could see myself using again!